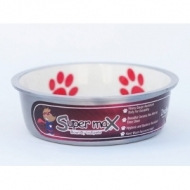 Super Max™ Bowls By Indipets Inc made with extra heavy duty sand casted aluminum construction with simple designs on brightly colored ceramic-like interiors. 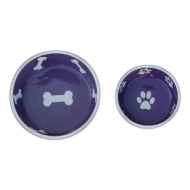 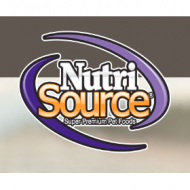 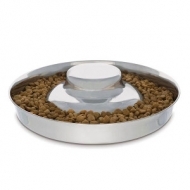 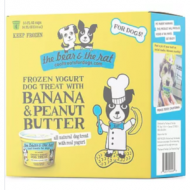 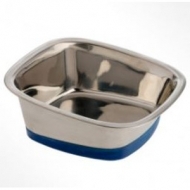 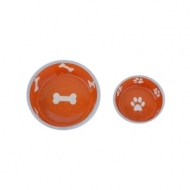 OurPets Square Bowls are slanted for easy feeding, made from high-quality stainless steel, and have a permanently-bonded rubber ring to prevent skidding. 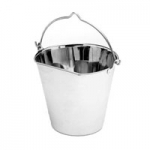 Our new flat-sided stainless steel pail with notched handle hangs against a chain link fence or wall.